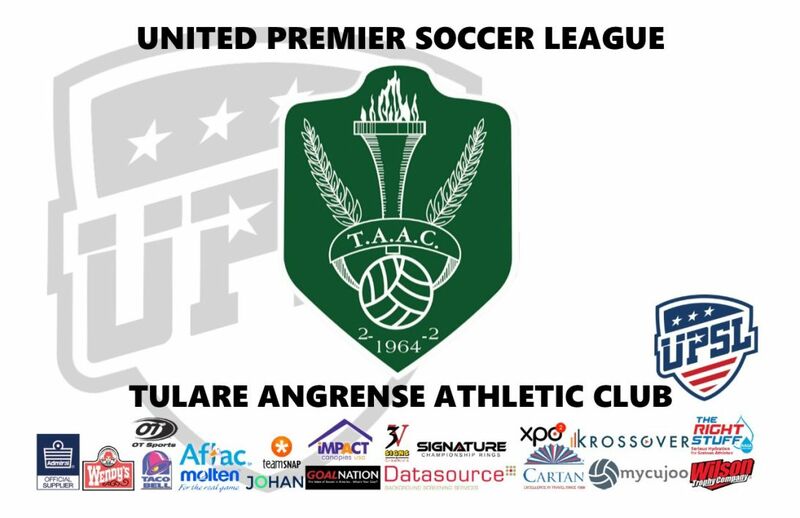 LOS ANGELES - Sept. 17, 2018 - PRLog -- The United Premier Soccer League (UPSL) is excited to announce Tulare Angrense Athletic Club as a new member starting with the 2019 Spring Season. Based in Tulare (Calif.), Angrense Athletic Club begins UPSL play in the UPSL Pro Premier Western Conference Wild West Division, and will host its home games at Elk Bayou Soccer Complex (5700 S. Laspina, Tulare, CA 93274) in compliance with UPSL's Minimum Standards. United Premier Soccer League Wild West Division Manager Nick Arellano said, "It's great to add more teams from The Valley to the UPSL. There's a wealth of talent there and we're happy to welcome Tulare Angrense Athletic Club to the UPSL. It's a club that dates back more than 50 years, and those just don't grow on trees. They've gained a lot of respect during that time, and we wish Tulare Angrense Athletic Club the best as they prepare for next season." Joe Ferreira, 46, is Athletic Director and Head Coach of Tulare Angrense Athletic Club. Ferreira has been on the Board of Directors at the club the last three years. Tulare Angrense Athletic Club Athletic Director and Head Coach Joe Ferreira said, "We have a great group of players that have been working hard for the past four years. I think they deserve the chance to play in a league such as the UPSL. This can give the players and this club a chance to grow in the years to come." The club has competed in local and regional leagues from Modesto to Bakersfield, cultivating generations of talented players in California Central Valley. Anthony Soares, 24, is Captain of Tulare Angrense Athletic Club. Soares graduated from Tulare Union High School and has played with TAAC in men's amateur leagues since he was 16. Tulare Angrense Athletic Club Captain Anthony Soares said, "We've had a solid core of guys around for the last four years so it's time to step up and see what we can do at a higher level. This a good chance to match up against strong competition, and we're looking forward to it." The club soon will announce its upcoming game schedule. Tulare Angrense Athletic Club is an American Soccer club currently based in Tulare, Calif., and a new member of the United Premier Soccer League. Tulare Angrense Athletic Club will begin play in the UPSL Pro Premier. Founded 1964, Tulare Angrense Athletic Club can participate in the qualifying rounds for the Lamar Hunt U.S. Open Cup through their affiliation and membership with the UPSL, the U.S. Soccer Federation (USSF) and the United States Adult Soccer Association (USASA). The UPSL was formed in 2011 and currently includes more than 200 teams in Alaska, Arizona, California, Colorado, Florida, Georgia, Idaho, Illinois, Indiana, Iowa, Kansas, Massachusetts, Michigan, Minnesota, Missouri, Nebraska, Nevada, New Hampshire, New Jersey, New Mexico, New York, North Carolina, Ohio, Oklahoma, Oregon, Pennsylvania, Rhode Island, South Carolina, South Dakota, Texas, Utah, Virginia and Wisconsin. UPSL is the fastest growing Pro Development League in the USA, with 300-plus teams targeted for 2018 Fall Season. Each UPSL team is individually owned and operated, and is responsible for maintaining either UPSL Pro Premier Division or Championship Division minimum standards.